When I was 8 years old, I was at a family get-together and fruit was being served. I was happy to see watermelon on the large platter, as it was my favourite fruit. I grabbed a piece and took a bite. Suddenly I noticed something didn’t seem right. Something didn’t feel right. My lips started to burn and itch, something I had never experienced while eating watermelon, or any food for that matter. After a few minutes, the tingling feeling didn’t subside, but rather increased. I went to the washroom and saw that my lips had a red rim around them and were starting to swell. When I returned to my mom and told her what had happened after eating the watermelon, she (like me) was confused. She proposed that it could be an allergic reaction, but to a fruit? It didn’t seem to make any sense. The following day, she called the allergist and booked an appointment to speak about what had happened. And like my mom thought, my allergist suspected it was an allergic reaction. To confirm our suspicions, he administered a skin-prick test to check for any reactions to seasonal and environmental allergies. I was told I needed to wait a while for the test to be complete, but a few pricks on my arms were extremely itchy and red. Upon completion, he explained that I was reacting the most to birch and ragweed pollen. My allergist began reading out a list of fruits and vegetables asking if I had experienced this sort if feeling to any of them in the past. When I told him I didn’t think so, he told me that it is very likely that one day I’ll develop sensitivities to them as well. He explained to me that it was likely that I had Oral Allergy Syndrome (OAS), which is also known as Pollen-Food Syndrome. This type of food allergy is quite different, as certain foods are related to the environment and specific pollens. He helped me understand that it is like mild food intolerances that affect your mouth and oral region. What’s interesting about OAS in my case, is that I can eat the cooked version of some of the raw fruits and vegetables that I’m allergic to. This is because the heating process destroys the proteins, making the immune system no longer recognize the food (Source: http://foodallergycanada.ca/2018/04/research-april-2018/). Though people with OAS usually have a mild reaction, it can however, though very unlikely, become anaphylactic, so I carry an EpiPen® with me every day just in case of an emergency. Since the day I first experienced an allergic reaction, over 10 years ago, like my allergist anticipated, I have developed many more allergies to fruits and vegetables that are within the birch and ragweed oral allergy families. I have learned through my experiences to strictly avoid any foods that bother me. What’s interesting to me is that after speaking to others about this syndrome, many people are shocked to learn about the possibility of being allergic to something other than the most common food allergens. Even as someone who is living with this syndrome, I truly believe that the conversation around it is lacking in the greater conversation of food allergy awareness. I hope my story begins to shed light on OAS so that others may learn and understand what this type of allergy entails. If you also have OAS, I would love to hear about your experiences in the comments below! Two years ago I went on a blind date. The date wasn’t a romantic match; but he told me about musical improv-improvisational comedy created in a musical theater form. I had never done anything like improvisational comedy before; but I knew I loved to sing and I loved musical theater. So, a few months later, I signed up for my first class. Being silly, on stage, with a group of strangers was pretty terrifying. But there was a small part of me that also found it exhilarating. The more I practiced, the more classes I took, the more the terror was replaced by joy. 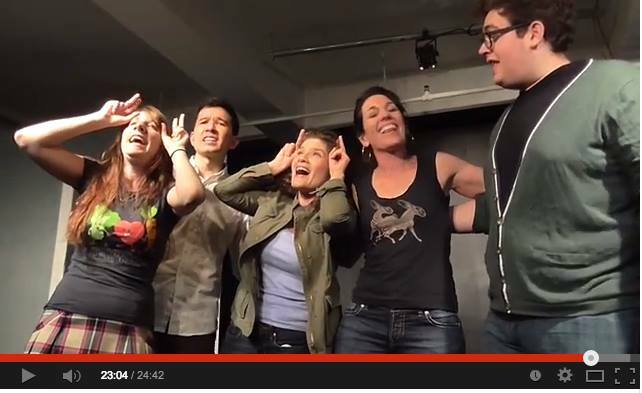 The core premise of improv is to say “Yes, and” to your partner. It does not simply involve being spontaneous. It involved saying ‘yes’ to everything presented to you in a theatrical scene (which hopefully will open up the scene to something potentially funny or brilliant or clever, goofy or simply bring the scene to the next place. As someone who grew up with food allergies, asthma, allergies and eczema, my childhood was filled with a lot of “Yes, but.” “Yes, I’d love to come over for a play date, BUT I can’t because you have dogs and I’ll have asthma issues and allergy issues.” Or, “Yes, I’d love to have a piece of that German Chocolate Cake. 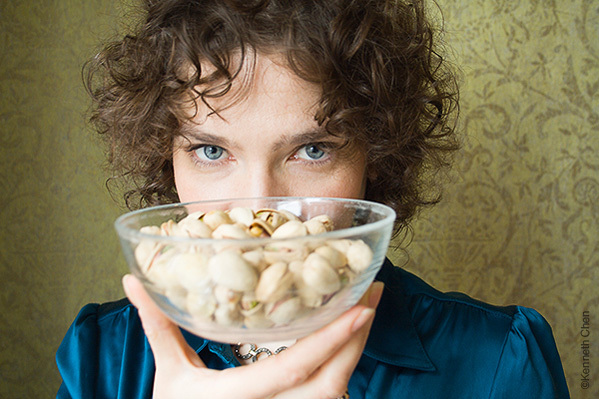 BUT it has tree nuts and I’m allergic.” Or, “Yes, I’d love to go outside and ride our bikes. BUT I’ll have asthma and allergy issues.” Once I left home for college, as a young adult, I set out to discover how to expand my horizons while remaining safe. That is to say, how to add more ‘yeses’ to my life despite the ‘buts’. Throughout my adult life, especially these last eight years of being a food allergy counselor, author and speaker, that has been my task: how to add more ‘yes’ to a life that has some definite ‘buts’ and ‘nos’. The facts of food allergies and anaphylaxis are clear. Food allergies are real and serious. Have a plan, know your triggers. and know what to do in case of an emergency. Carry your emergency medications on your person at all times as anaphylaxis is a swift and severe reaction that can be fatal. Epinephrine auto-injectors are the first line of defense in a severe, life-threatening allergic reaction. Those facts are real and cannot be ignored; and those facts can feel like the biggest ‘Nos’ to having a life. No, you can’t eat that cookie without reading the label. Or, No you can’t just have a bit of that cake without asking what’s in it. Or, No you can’t leave your bag or purse with your medications at home when you hang with friends. And, especially: No, you can’t kiss someone who just ate your allergen. So, how does anyone expand one’s horizons (say yes to fun, connection, joy, expansion, intimacy) while remaining safe (saying no to allergic triggers) especially when food and food-related events seem to be the focus at home, with family, with friends, at college, at work, traveling and/or on romantic dates? Put simply, by knowing this. Life is more than food and who you are as a person is bigger than simply someone with food allergies. Finding your ‘YES’ as an adult is about exploring, uncovering, and developing who you are as a person, your interests, your passions, your creative outlets, your drives, your spirituality, your athleticism, your focus, and your skills. So, where will you find your next ‘YES’?